Our daily business is old clothing. This is gratefully received by 70% of the world’s population. What we collect, we are happy to pass on. As exporter of second-hand clothing we deliver wearable textiles all over the world, after manual sorting and checking. International clients appreciate our hand-picked selection and the professional service that goes with it. Non-wearable clothes we distribute to suitable recycling companies so that something new can be made out of them. We weigh textiles accurately according to the actual market prices per kilogram – our lorries as well as having a GPS system have an integrated electronic weighing system that delivers precise and transparent figures. 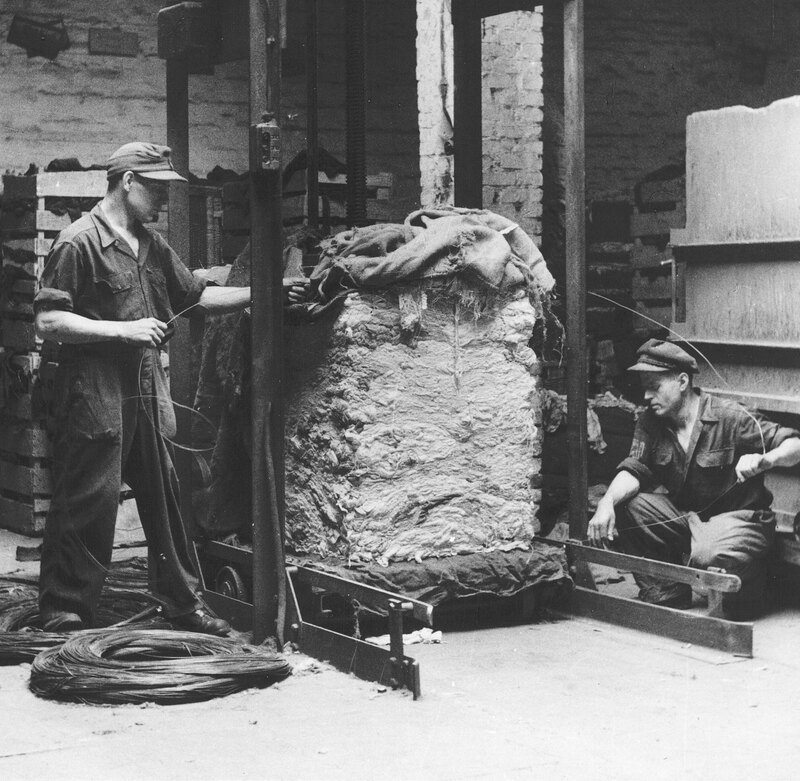 Our manual presses form compact bales from 500 kilos of old clothing. You have with us a partner by your side who always operates within the actual Lifecycle Management law. Together with us you can protect valuable resources and work eco-consciously. You wish to import textiles from us? Please complete the form below and then click the `submit´ button. We will contact you soonest to clear the rest of the details. We soon get back to you.